Queen Silvia shares a special moment with Raynechia van Rooyen. 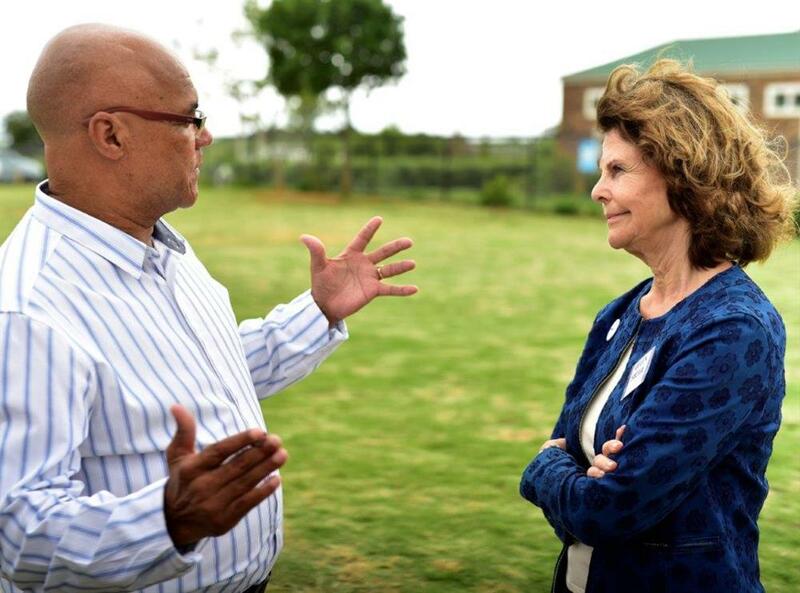 GEORGE NEWS - Sweden's Queen Silvia paid a hush-hush, lightning visit to George last week as part of a 3-day tour of South Africa to view projects supported by the World Childhood Foundation. 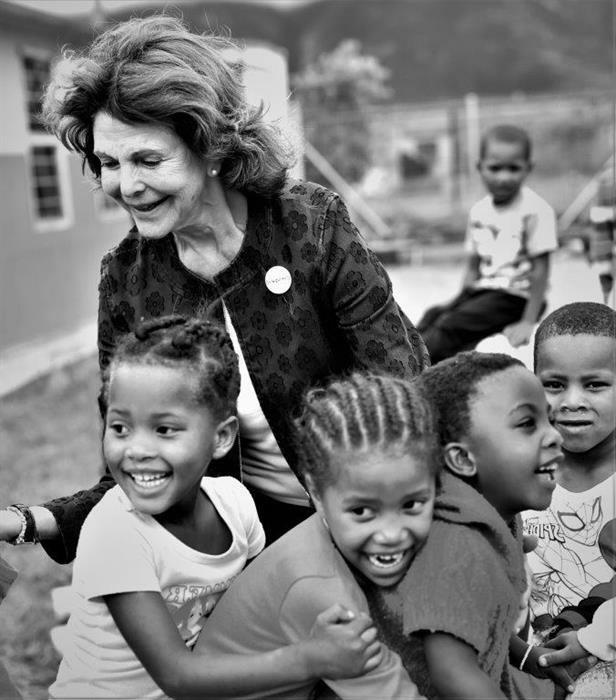 Founded by Queen Silvia in 1999, the World Childhood Foundation has partnerships with 12 projects in South Africa including The Seven Passes Initiative, a rural youth development project based in Touwsranten and Hoekwil that empowers communities and children through education. 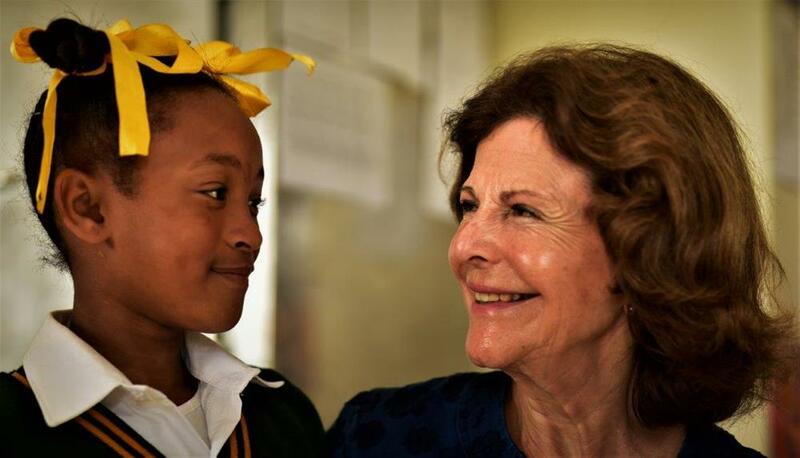 On Monday and Tuesday, 14 and 15 January, Queen Silvia visited various Cape Town organisations including the well known surfing project Waves for Change. On Wednesday, her final day in the country, Queen Silvia spent time with the Seven Passes Initiative team visiting Touwsranten Primary to see the results of the initiative first hand. The visit was conducted under a veil of secrecy to ensure the queen's privacy and to enable her to perform her tasks unencumbered by the constant flash of cameras. Touwsranten Primary headmaster, Robert Draai says he was only informed of the visit three days before the queens arrival and asked to keep it quiet. He is very pleased to have met her and speaks with huge admiration of Queen Silvia's humility and warmth. Queen Silvia with Touwsranten Primary headmaster Robert Draai during her visit to the school. "She is an excellent listener and truly interested in what people say. She radiates empathy. She is impressed with our school and what we achieve with limited resources. Our school works closely with Seven Passes and share their philosophy of empowerment through education. I believe we have to cooperate with NGO's, churches and community organisations to make progress - no one is an island." During her visit Queen Silvia learned about the Seven Passes projects and educational activities, which include help with homework, sport, music and drama. Last year's Idols SA winner, Paxton Fielies was invited to Sweden to perform for Queen Silvia as part of the World's Children's Prize Foundation, and was awarded the role of ambassador for the queen's "You Me Equal Rights" campaign. 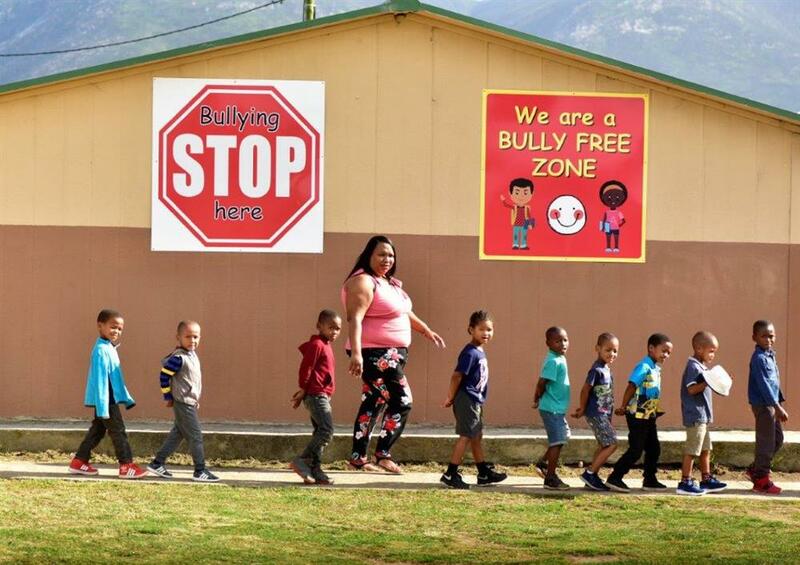 Toeing the line - no bullying at our school! From left are: Brenwin Muller, Leehaiwin Smith, Jevandre van Wyk, Nadine Veldman, Cody de Swart, Daywin Windwaai, Sergey Koeries, Elcado Saptoe, Akhona Maartin and Kirsten Harmse.